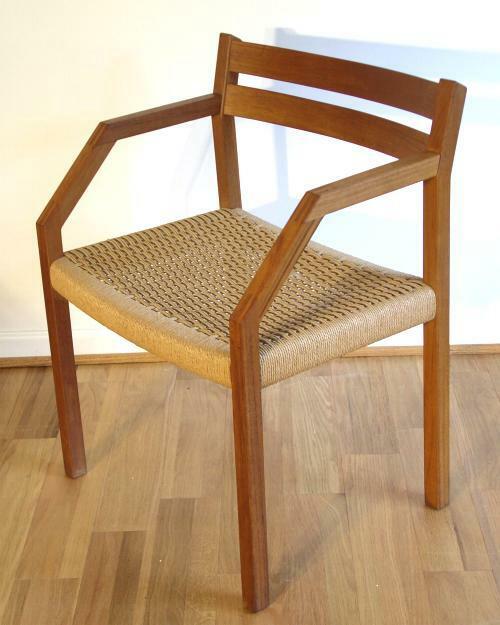 Wide Teak Danish arm chair with rope seat. Model number 404, designed in 1974 by Jorgen Henrik Moller for J.L. Mollers Mobelfabrik of Denmark.